Road to peace can be long and tiring... But certainly not when young people take the initiative to walk it, together! 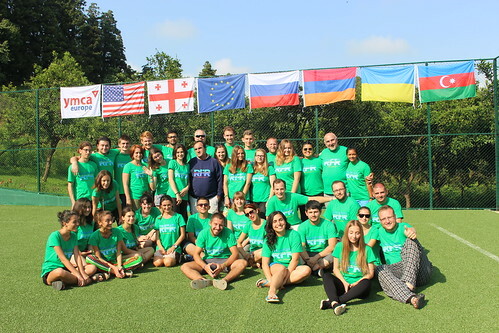 YMCA Georgia "Camp Orange" has been very busy with local and international activities since official opening in 2015, but the event hosted on July 23-29, 2017 was a special one - 40 young people from 7 countries (Armenia, Azerbaijan, Georgia, Romania, Russia, Ukraine & USA) took part in "Camping & Outdoor Education - Road towards Peace", implemented by YMCA Georgia within the framework of YMCA Europe "Roots for Reconciliation" Seed Grant Tool project component. YMCA Ukraine presented very interesting tool for promoting peace and conflict transformation - "Play-Back Theatre".